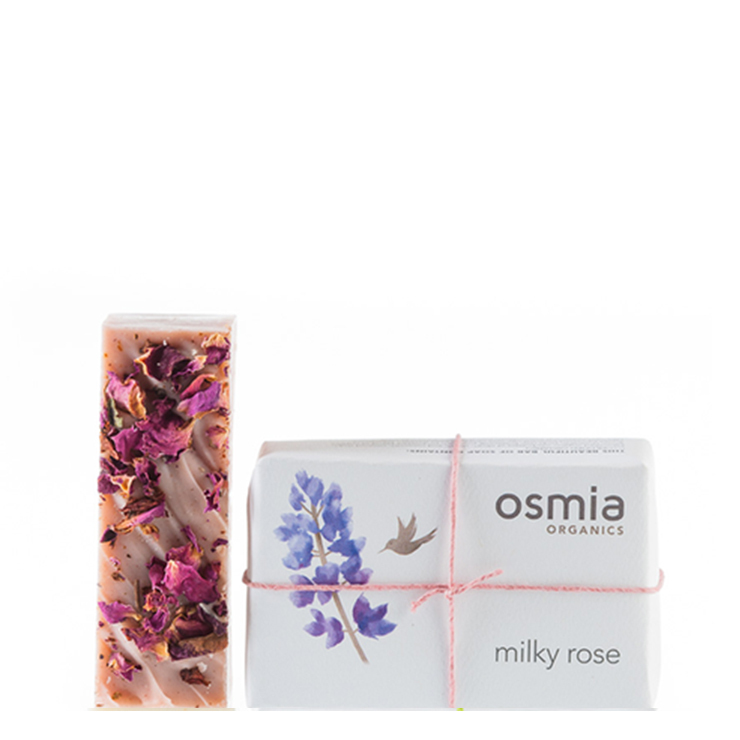 Osmia Organics Milky Rose Soap offers the feeling of deep hydration you can expect from their exceptional line of soaps, but with a beautiful aesthetic and scent profile. Rich and creamy buttermilk powder is the star of this delicately feminine body soap with a luxurious feel. 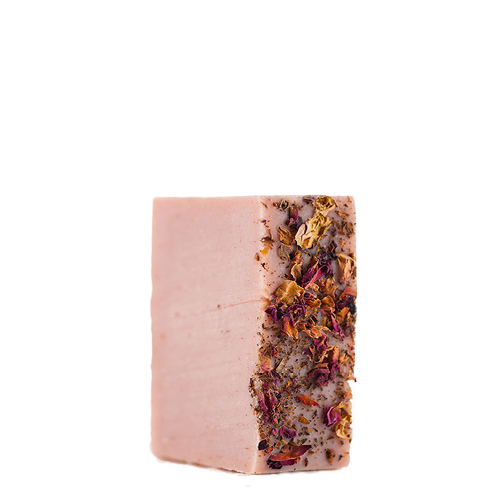 Topped with gorgeous rose petals, this soap features a decadent blend of bitter orange and palmarosa essential oils to make skin feel silky soft and ultra moisturized, perfect for anyone seeking a divinely fragrant addition to their beauty ritual. Apply daily as needed. For extended life, store on a soap saver, away from excess water.